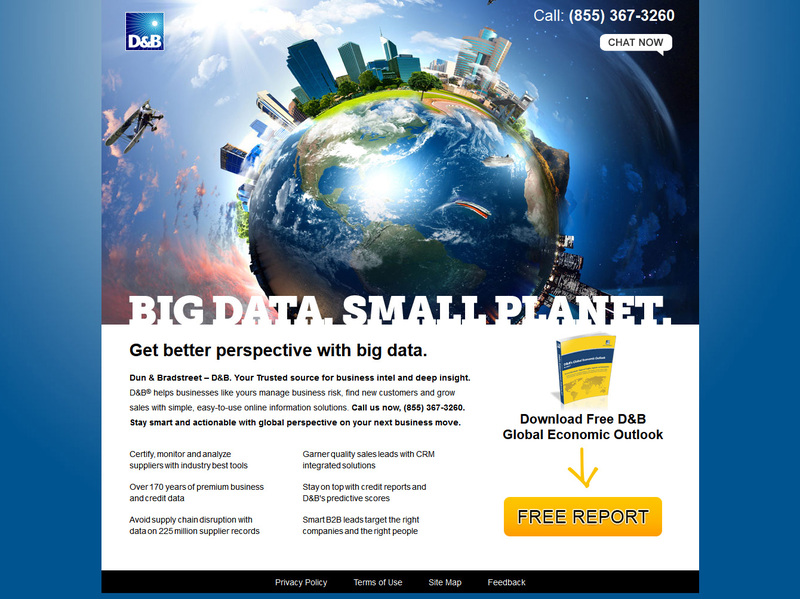 Cropped D&B corporate website homepage. 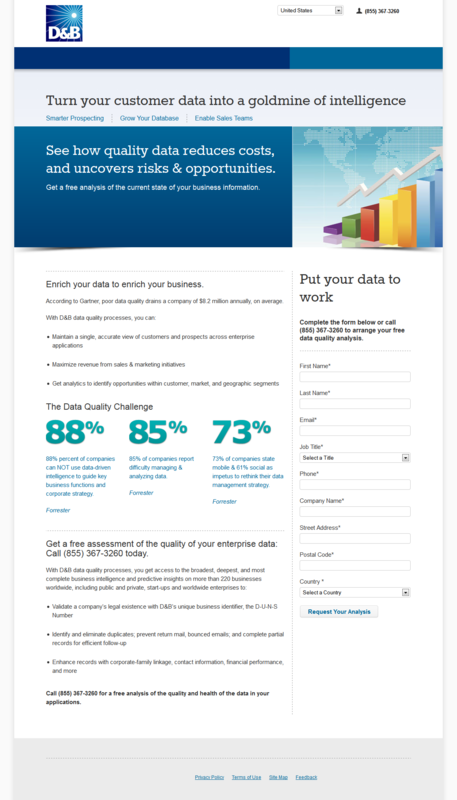 Big browser screenshot. 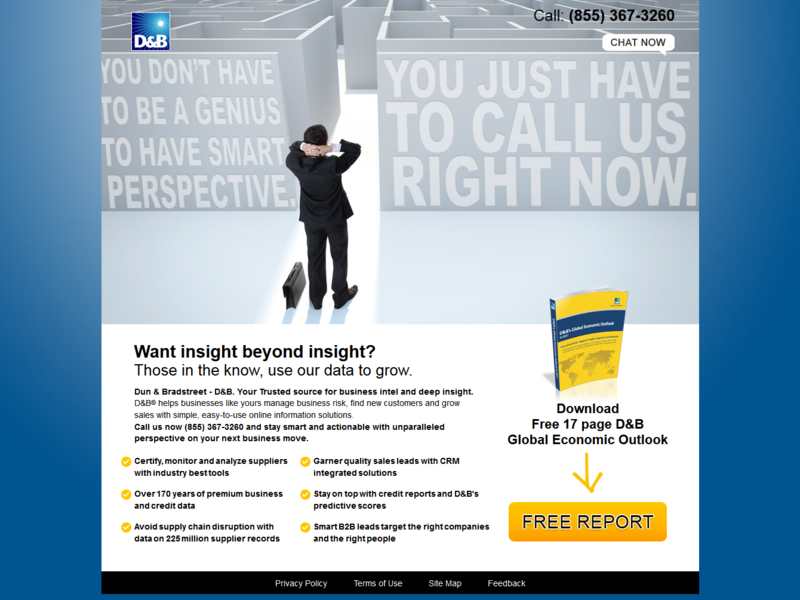 D&B is a corporate credit reporting company established in 1841. The D&B.com site is a corporate website emphasizing products and D&B’s position in the marketplace. 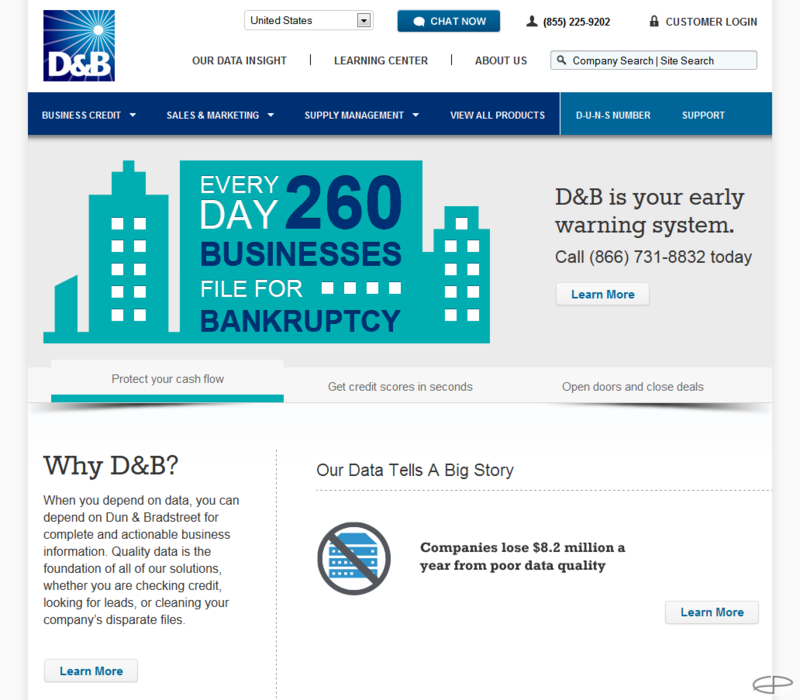 I served as production manager of a small team of web producers responsible for the maintenance and development for the D&B site and additional web properties. I also served as an active web developer and producer taking third party designs and implementing them within an Adobe Experience Manager environment (AEM/Adobe CQ). I oversaw the daily builds and release process, acted as a liaison between production and offshore and internal development teams, oversaw multiple redesign efforts including converting the site to a responsive design, was the primary build resource for Adobe Test&Target multi-variant tests, worked closely with lead generation teams and systems to test and implement strategies and guided development processes and tool selection. The site was maintained in the Adobe Experience Manager CMS (formerly Adobe CQ) and was built on a responsive framework based on Twitter Bootstrap. This entry was posted in Web Portfolio and tagged responsive.